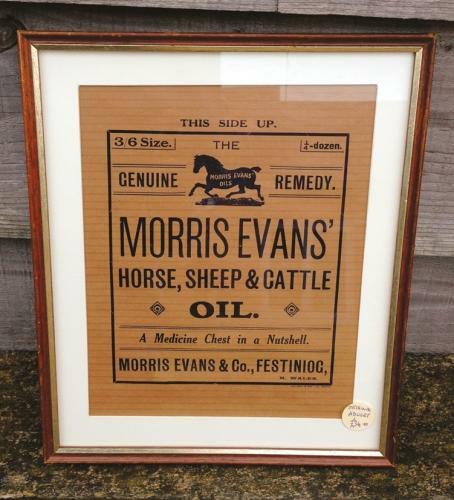 Morris Evans, Horse, Sheep & Cattle Oil Advert. Framed antique shop bag/wrapping paper. Good Condition and nice typography.